DYED TO ORDER! Choose your base yarn! We offer 4 base yarns, and offer a 'Dyed to Order' system. 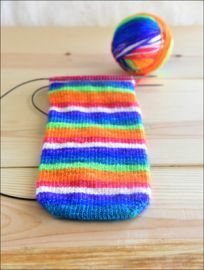 This colorway is "Live in Technicolor" the March 2018 Colorway from our Second year of our Rainbow Sock Yarn Club! 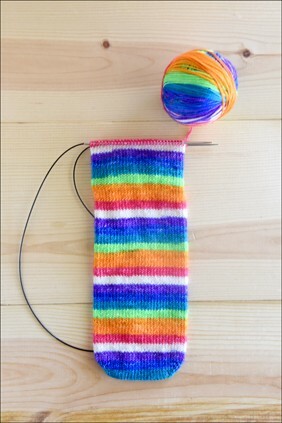 One skein will make a pair of socks for the average sized foot.